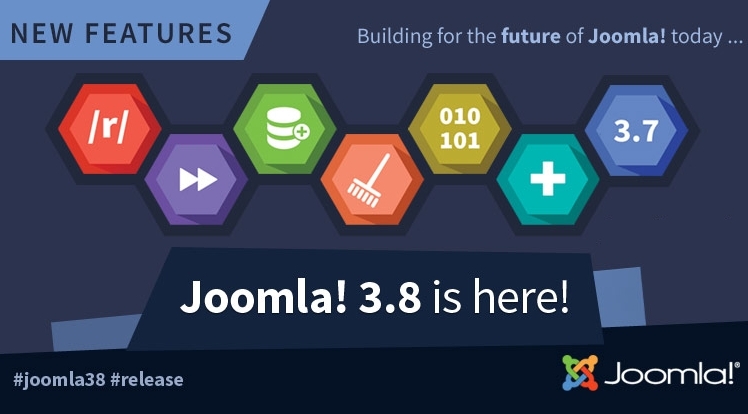 The latest Joomla 3.8 has been released that features over 300 improvements and security fixes. Especially, Joomla 3.8 comes with awesome developer features: New routing system and the beginning of a forward compatibility layer with Joomla! 4.0. Note: Joomla 3.8 is a one-click update. It is recommended to update from Joomla 3.7.5 to Joomla 3.8. Cleaner, shorter and more friendly URLs! New Routing System in Joomla 3.8 gives you more control over your URL structure including the often requested "remove IDs" feature that can benefit to your SEO. Joomla! 3.8 includes a Joomla! 4 compatibility layer. The core PHP classes will be moving to PHP namespaces in Joomla! 4 that extension developers smoothly migrate to our next major Joomla 4.0 version. 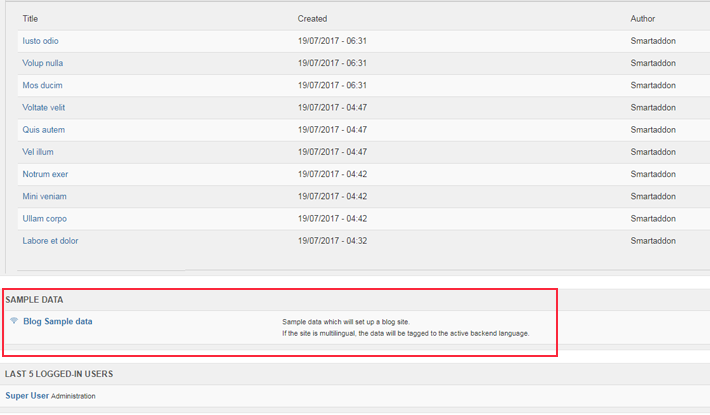 With new sample data installation, you can install any sample data for testing any time you need with multilingual support included. In addition, extension developers can deliver their own sample data. The core encryption library supports the new sodium extension which will be added to PHP 7.2 and through a polyfill this library will be available to all users of Joomla! on all of our supported platforms. A cleaner, faster codebase is presented in Joomla 3.8 that has been applied to improve both readability and processing times. Our team have been starting to update all our Free and Premium Joomla templates and Professional Joomla Extensions to Joomla 3.8. If you've already updated Sj Templates to Joomla 3.7.5, you can smoothly update to Joomla 3.8. For others, please wait for our update release. Besides, if you update SJ Templates to Joomla 3.8 by yourself, please follow this article for Fix Bugs, Errors When Update Sj Templates to Joomla 3.8. So, keep in touch with us for the good news!